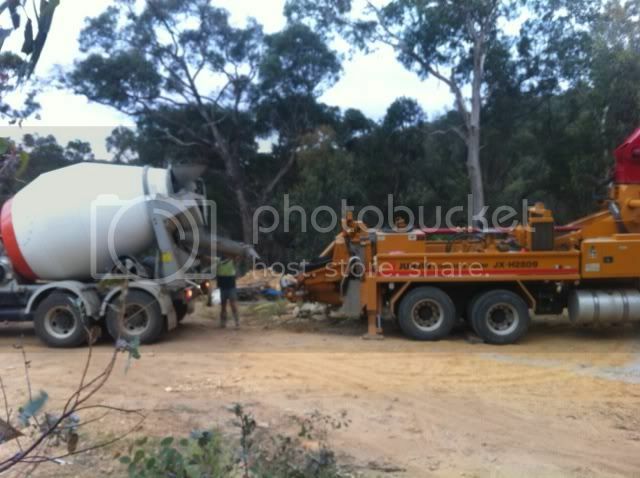 The first concrete truck is here! Scott the concreter is here, although his team has yet to arrive (from Echuca!!) No matter, we can empty a couple of trucks filling the trenches before they’re really required.